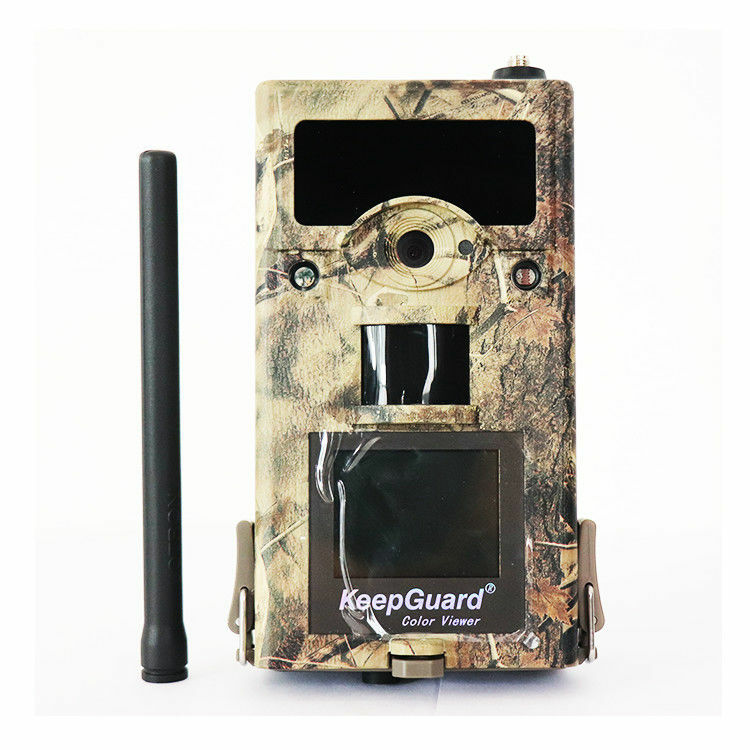 The KeepGuard KG860NV is a cellular trail camera that can send pictures, via cellular signal, to your phone, email (or both). This is a no glow infrared flash - perfect for any security scenario. 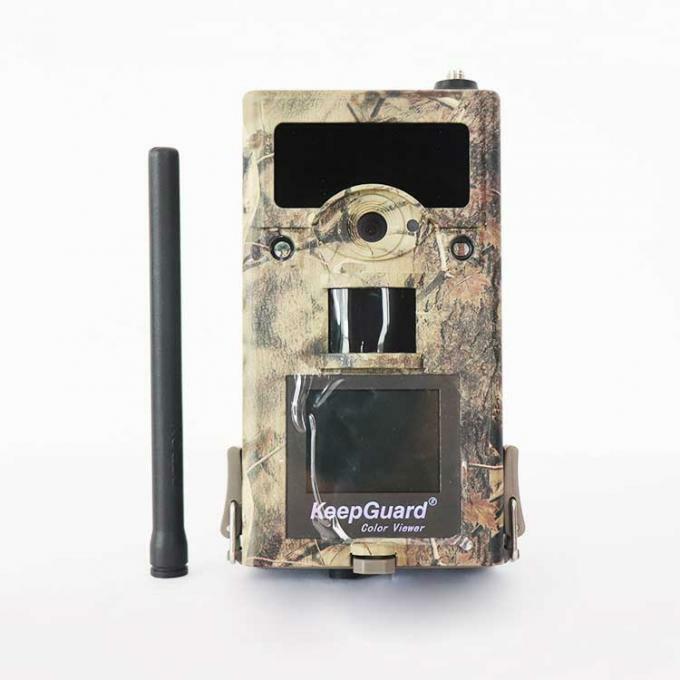 The KeepGuard KG860NV can send MMS text messages to any personal cell phone that has the capability of receiving MMS messages with any carrier. It can work with a GSM/GPRS SIM card and send photos to any network, The camera just has to be setup with the appropriate SIM card. It just requires the GSM/GPRS SIM card in order to do so. The KG860NV has proven to be very consistent in picture delivery, in weaker signal areas, than other cellular cameras. Picture delivery to phone/email is within 60 seconds of the picture being taken. As valuable as this camera is for wildlife surveillance, it is even more valuable as a security camera. With the added benefit of the flash not being visible to the human eye, this is the ultimate security camera. Put the camera up overlooking your business, watching your house while you are on vacation, on a gate entering or exiting your property and countless other options. Within 60 seconds of a person entering the field of view of the camera, you will have a photo of them with both the time, date, moon,temperature and other things stamped on the photo. Next step is contacting local authorities and prosecuting! The 0.7 second trigger of our KG860NV is the fastest trigger time in all of the cellular trail cameras on the market. And it has a very long detection range(20m-25m). It means so much for you, imagine a trail camera that has a slow trigger speed and a short detection range won't work well on a game trail. By the time a picture is taken, any movement of game may be completely out of the field of view! 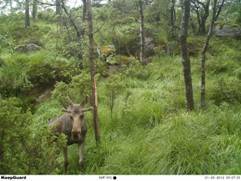 What’s more, if you are using a trail camera for security purposes (i.e. trespassers - thieves), you will need a camera with a fast trigger speed and a long detection range to catch the thieves in action (especially if you are using video mode) or before they leave the picture. However, because of the fastest trigger time and a very long detection range, our KG860NV works very perfect in these parts. Just as impressive as the huge detection range, the camera can be triggered by any movement of game in a location, detected by a highly sensitive Passive Infra-Red(PIR)motion sensor, and then take highly quality pictures or Videos clips. The detection zone is wider than the field of view, however, when combined with the trigger time (0.7 seconds) the resulting image is a near-perfectly placed object. The day pictures from the KeepGuard KG860 are crystal clear. The maximum pixels can reach 12MP. Both color and clarity are exactly. Words are cheap though. Let's show you exactly what we mean. Check out the duck on the left coming in hard for a landing (click it to enlarge). The lighting, clarity and color are exactly what you would want. This picture perfectly signifies what you get with a KG860. We KeepGuard has produced several firmware updates for their cameras that continue to tweak and improve our photos even more.